RES-Single Family, Traditional - Arlington, TX - Great opportunity to own a wonderful 3 bedroom, 2.1 bathroom, located just down from a large family park and in walking distance to schools. And, it's backed to a large open field that is awesome to view from the upstairs day room. You will love the wood floors, stainless steel appliances, and gas fireplace. Updates include roof, air conditioner, hot water heater, stove, microwave, ceiling fans, and light fixtures. RES-Single Family, Traditional - Grand Prairie, TX - This awesome, move-in ready, 3 bedroom and 2.1 bathroom home has it all, including a beautiful in-ground pool. In 2012, it went through an astonishing transformation that we know you will appreciate. And, they didn't skimp on the updates, which includes wood flooring, top of the line carpeting, pool equipment, heavy duty contemporary wood fence, vinyl siding, composition shingles, vinyl windows, appliances, and more. Stop by this Saturday, between 2PM and 5PM or Sunday between 2PM and 4PM. You will be glad you did. 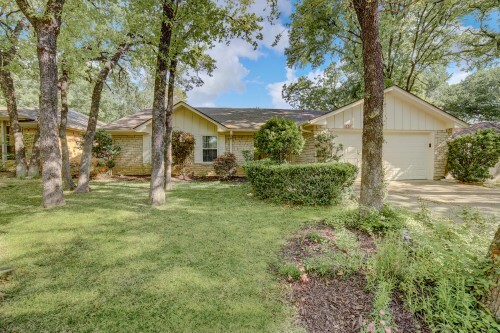 Relax And Enjoy Living - Relax and enjoy living in the beautiful Smokerise Addition, which is only .5 miles East of Lake Arlington. This fantastic 3 bedroom and 2 bath home, with a POOL, is located in the Martin High School attendance zone. It has been meticulously cared for and is move-in ready. From the gorgeous hand-scraped wood floors to the spacious kitchen with a moveable island, this house is quite the find. You will love how bright and open the home is and how comfortable the layout will make you feel. The master bedroom is perfectly sized with an updated on-suite and french doors leading to the pool. We look forward to your visit! Showings begin on Sunday, April 14th at 1PM. Situated in a cozy neighborhood, this move-in read - Situated in a cozy neighborhood, this move-in ready home has 3 bedrooms, 2 bathrooms, a large kitchen that is open to the living area, and a well-maintained yard. You will find wood laminate flooring throughout the living and bedroom areas, and new countertops in the kitchen. The roof was replaced approximately two years ago and the HVAC in 2016. This is a great opportunity! Unbelievable Place With Tons of Space - Looking for a house with 2 MASTER Bedrooms, 3 Full and 1 Half Baths, 2 Living Areas, 2 Dining Rooms, a Game Room, and a Flex Room that would make a great Office or Video Game Room. We know you will appreciate the Freshly Painted Walls and Recently Replaced Shingles, HVAC, Carpet, and Garage Doors. You will also enjoy the close proximity of the small neighborhood playground for young children and the large open field that would be great for a game of soccer or football or to play frisbee with your dog. If you hurry, you could be moved in before January, so schedule your private tour today!